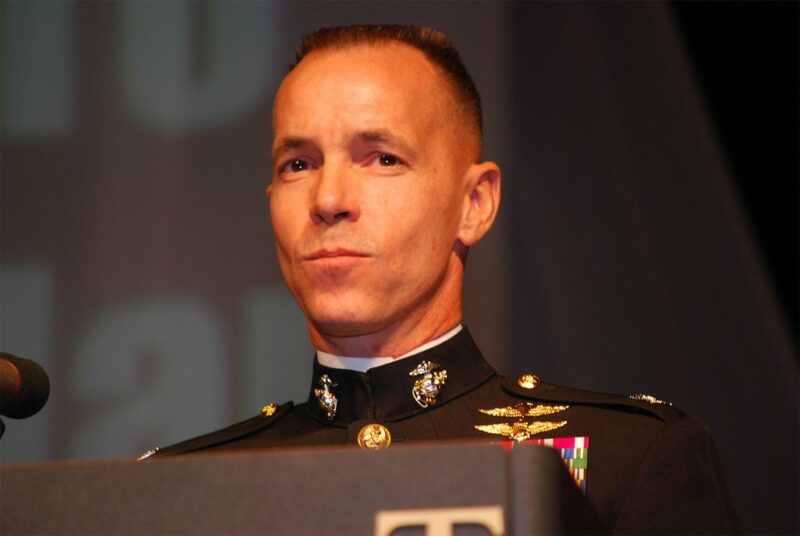 Colonel Tom Clark graduated from The Citadel in 1985, earning a degree in Mathematics and Computer Science, and was commissioned into the U.S. Marine Corps through Naval ROTC. He was designated a Naval Aviator in 1987. During his 30-year career as a Marine fighter pilot, he accumulated 4000 hours flight time (primarily in the F/A-18) and flew 115 combat missions (all in the Middle East). He also deployed numerous times, participating in Operations Desert Storm, Enduring Freedom, and Iraqi Freedom. His overseas deployments included service in the Middle East, Far East, South America, and South Pacific as well as sea service aboard USS Coral Sea and USS Theodore Roosevelt. Colonel Clark is a parachute-qualified Forward Air Controller who also served as the Senior Aide-de-camp for two Commandants of the Marine Corps as well as the J-5 Strategy and Policy Division Chief at United States Central Command Headquarters in Tampa. He commanded an F/A-18C Squadron in combat and an Aviation Training Group in South Texas. During his final tour, he served as the Commanding Officer and Professor of Naval Science of the Naval ROTC Unit at The Citadel in Charleston, South Carolina—the same unit where he began his Marine Corps career in 1985. On 15 July 2015, Colonel Clark assumed his current duties as the Executive Director of The Krause Center for Leadership & Ethics.